Is Dating Site for Disney Movie Fans A Goofy Way to Find Love? MouseMingle, which launched earlier this week, touts itself as “the place to connect people who love Disney and who want that same magic in their relationship." 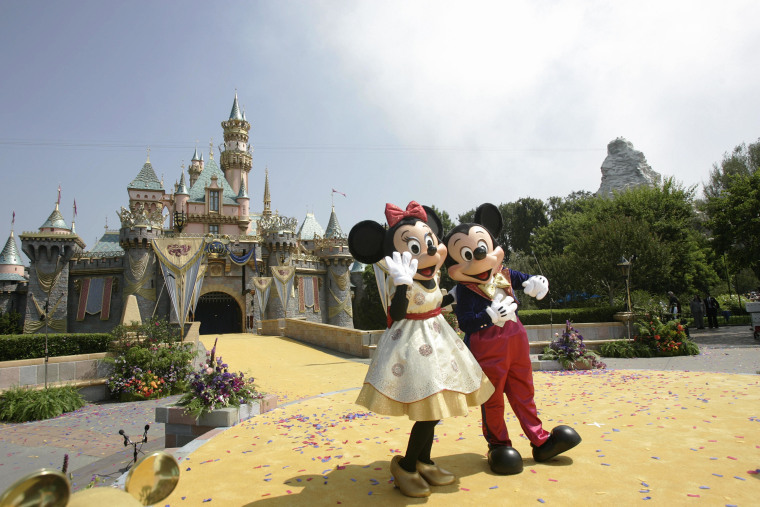 The site is the brainchild of Dave Tavres, a longtime Disney fan and former Disneyland engineer. “I found it hard to find women who were as interested in Disney as I am,” he told Los Angeles Magazine, explaining that the idea for MouseMingle came from his frustration that other dating sites had “no way to narrow down the searches to find women in the right distance and age range who loved Disney." Response to the site has been so overwhelming that it was unable to keep up with new registrations for a time this week after its launch on Monday. “We are far more popular than we planned for -- on the second day!” read a note on the site’s Facebook page, addressing the glitch. “Waiting patiently,” wrote one of many soon-to-be MouseMinglers as the site was under repair. The site works on a “freemium” plan – it’s free to browse, but costs $12.55 to make contact with a member. The “55” is a reference to 1955, the year that Disneyland, the company’s first theme park, opened in Anaheim, California. Members can check off various settings to help zero in on the best match, including identifying their favorite princes and princesses, listing any annual park passes or other Disney passions (Cruise Line, Cosplay, “Star Wars,” etc. ), and defining their Disney paraphernalia shopping habits. Some non-Disney devotees are nonplussed by the idea of an all-Disney dating site.